Georgian millionaire lands deal with Centrenergo. The Georgian company Saknakhshiri GIG won a tender for the supply of 700 thousand tons of coal to Ukrainian state-owned thermal power plants, reported ProZorro, where the tender, announced by the company Centrenergo, was held. Under the 1.8 billion hryvnya, Saknakhshiri will supply coal to Ukraine at 2,584 hryvnia per ton. Its competitor, Polish I-COAL Sp z o.o. has offered a price just one kopeck per ton greater. Saknakhshiri GIG is engaged in coal mining, as well as wholesale and retail trade in coal in Georgia, Armenia and Bulgaria. 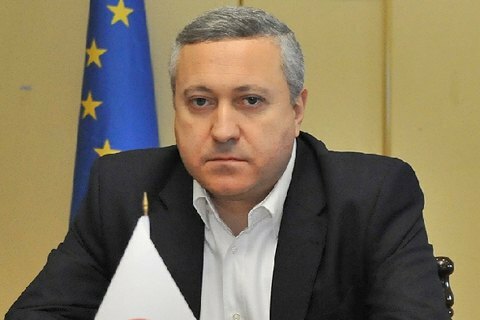 The company belongs to Georgian MP David Bezhuashvili. The tender terms provide for delivery from May 1 to December 31. The minimum volume of the consignment is 70 thousand tons to the Black Sea ports on CIF terms. Centrenergo expects the delivery of coal by about ten freighters. The energy company DTEK, which owns the majority of Ukrainian thermal power plants, has bought 600 thousand tons of anthracite from South Africa with the option to increase the supply to 1 million. The first freighter with 75 thousand tons of coal is expected in June. Earlier, the company provided itself with coal, but is forced to import after domestic anthracite mines fell under the control of pro-Russian militants. Since March 15, Ukraine introduced a transport blockade of the militant-controlled territories in Donbas, including the mines producing much-needed anthracite.